Contrary to a common stereotype, mystical thought has always played a role in the development of Christian thought, just as it has in other religious traditions. While eschewing Gnosticism, Neoplatonist pagans such as Plotinus were used by Christian writers, and the Pseudo-Dionysius’ writings could be called mystical works from a Christian perspective. The Eastern Orthodox Church has emphasized contemplation, and this trend became dominant during the late states of the Eastern Roman Empire just before Constantinople was taken by the Turks in 1453. In the Western Church, St. John of the Cross, St Julian of Norwich, and St. Theresa of Avila were only a few of the great mystics. The Church has taken care regarding mysticism, not in order to make life difficult for the mystics, but to make sure that the teachings of the mystics were in line with Christian teaching. 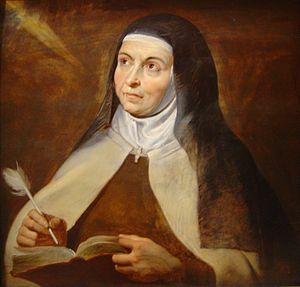 St. Theresa of Avila gladly submitted to that rule and did not begrudge it–anyone with doubts should read her writings. There were a few exceptions, but this was not due to the authors’ mysticism. The problem was the teachings of certain mystics seemed to conflict with the teachings of Christianity. I am not sure if Scotus Erigena was a mystic, but he was clearly a pantheist, and while not formally condemned, his position was stronger than the alleged panentheism of Meister Eckhart–Erigena clearly identified God with the universe in his dynamic pantheistic system. Meister Eckhart, on the other hand, believed, as far as I can follow his thought, that the was a good Thomist–if every contingent thing that exists is radically dependent on God, then without God all contingent things are literally no-things. Thus God is all in all. Eckhart’s teachings could be a form of panentheism, and one could even interpret them in terms of classical theism. In my judgment, Eckhart’s heresy trial was based on a misunderstanding of his teachings.Mystics tend to emphasize the untiy of all things in the One, and sometimes they seem to subsume creation into God so that God is the only reality and contingent things are unreal. R. C. Zaehner has argued that Christian mysticism always kept the God-world distinction in the background while Eastern mysticism did not. 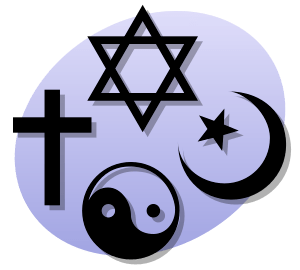 That is a widely disputed point; many writers would claim there is a strong cross-religious and cross-cultural commonality to religious experience. Huston Smith has argued that within a religious tradition that approves their use, psychedelic drugs may be a way to reach the transcendent. From a very different perspective, Stanislav Grof has argued that high doses of LSD can put some persons in contact with transcendent reality. Even the majority of mystics who do not use drugs use fasting, chants, and other methods to focus the mind. However, as William James notes in his Varieties of Religious Experience, there is a passivity to mystical experience–ultimately it is a gift of grace. James is also correct in noting the ineffable quality of mystical experiences. It is not that mystics cannot communicate anything about their experience–otherwise, why would they write books about mysticism–but that language does a poor job in communicating the experience. 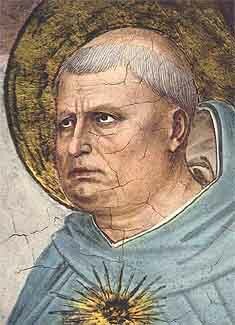 In December 1273, St. Thomas Aquinas told his secretary that he had a mystical experience of God of such power that everything he had written before was “straw.” He died shortly afterward in March 1274. Mystics also have a sense, as James noted, of certainty that the experience they had was real. The experience itself does not last long; James is probably not far off the mark when he states that most experiences last less than half an hour. These special gifts of grace are the height of the contemplative (Mary-type) life as opposed to the more practical Martha-type life. The church requires both. Christian mystics should always keep in mind the fact of the incarnation (as did St. Theresa of Avila). Matter is good and redeemed by God through Christ. Any mystical experience that denies the goodness of matter is heretical from a Christian perspective. What mystical experience tells Christians, among other things, is how small we human beings are in comparison with God. Even the Beatific Vision will not result in anything close to a complete knowledge of God. It is good for humans, who have a tendency toward pride and arrogance, to realize their smallness, their nothingness, in the face of Existence Itself. 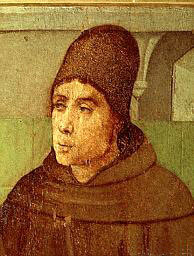 It is well-known that John Duns Scotus (1265-1308) had a more voluntarist bent in his philosophy than did St. Thomas Aquinas (1225-74). Scotus, writing in light of the Condemnation of 1277, in which the Bishop of Paris declared a number of Aristotelian propositions to be heretical, was careful to stay in line with current church teaching. Now the two great medieval thinkers would agree that God can do anything logically possible that is consistent with His nature. Aquinas, however, included all ten commandments under the natural law, while Duns Scotus held that the commandments dealing with human conduct were consistent with the natural law, but could be overridden by God given particular circumstances. Another issue to which Scotus devotes attention is whether God could maintain plant or animal souls (forms) in existence in the same way that the human soul is naturally immortal. (Unlike Aquinas, who believes in absolute proof of the immortality of the human soul, Scotus suggests that although probable arguments can be given to justify the soul’s immortality, conclusive arguments are lacking. Scotus, unlike Aquinas, emphasizes the freedom of God to maintain plant and animal souls in everlasting existence if He so chooses. Now Aquinas says that when a plant or animal dies, the soul is corrupted with the body, since plant and animal souls depend on a functioning body for their existence. Scotus accepts that position, but also emphasizes, as usual, God’s freedom. What is significant about Scotus’ view has to do with the question of any child who has suffered the loss of an animal companion: “Will my (dog, cat, ferret, rabbit, hamster, etc.) go to heaven? For Aquinas, the answer is a definite “no.” Neither plants nor non-human animals will live in Heaven, but only human beings among embodied creatures. The four elements–earth, air, fire, and water will remain, though in a perfected fashion. When this world comes to an end, so do all the animals. This is an uncomfortable position for the Thomist to hold, especially given the cosmic eschatological statements of Romans 8 which seem to imply that all of creation will be redeemed. It also ignores the great love between people and their companion animals, a love that is a good for the universe, a love that surely does not die forever with the animal’s death. Given the mistreatment of animals by human beings, it would be fair for animals to share in the eschaton. If God wanted to keep a dog soul in existence (or a cat soul, a ferret soul, and so forth), according to Scotus He could do so. This does not imply that God would do so, but given the nature of God as love, it is difficult to believe that He would not raise those animals that are precious to human beings–and given God’s plenitude, why would he not raise other animals to whom individuality has worth? A soul is a form, an informational pattern that acts to organize matter in a particular way. Even if it is not normally ontologically separate from a particular body, according to Scotus, God could miraculously maintain a dog or cat soul in existence up to an infinite future. Then at the resurrection, God would create a new body and allow that animal soul to inform that new piece of matter, perfect the composite, and by His grace grant eternal life to that animal. Scotus’ emphasis on the freedom of God gives more hope to the believer that animal resurrection may take place. That is my hope and prayer. The problem of universals is one of the oldest problems in philosophy. From Plato and Aristotle to Boethus, Abelard, and the other medievals to the modern and contemporary periods philosophers have discussed whether universal words such as “man,” “dog,” “oak tree” or “water” exist in themselves, are mere labels for objects we group together for our convenience, or do not refer to things, but to objective similarities between things. Extreme realism, such as held by Plato, holds that universal terms such as “dog” refer to the Form “Dog” that exists in a spaceless, timeless world separate from the empirical world, and which is known by reason, not by sense experience. The opposite view, extreme nominalism, associated with Foucault and Derrida (although whether this is their actual position can be debated) holds that “dog” refers to what any society labels particular animals they wish to group together as “dogs.” There is no essence of dogness, no set of necessary and sufficient conditions for dogness to which the term “dog” refers. Finally, moderate realism (the position of Abelard (perhaps–I think so), St. Thomas Aquinas, and the Blessed Duns Scotus, asserts that universal terms refer to objective similarities between natural kinds of the same type, to a set of, say, necessary and sufficient conditions that make a dog a “dog.” The trend since William of Occam has been toward conceptualism, such as Occam’s notion of universals as labels that refer to similarities between entities that have some basis in extramental reality. He sounds like a moderate realist; some interpreters call him a “realistic conceptualist.” In his own day he was interpreted as a nominalist, and whatever his position may have been, philosophers after Occam gravitated toward nominalism. This trend accelerated the split between faith and reason that ended the Medieval synthesis. The end stage of this process is found in Nietzsche’s work, which supported nominalism in the sense that all meanings are culturally constructed and do not have an objective basis in extramental reality. Contemporary English Departments at many universities, especially in the United States, tend toward a radical nominalism and linguistic constructivism in which universal words refer to whatever fits a particular society’s interest. Even though I agree with the notion that meaning is flexible, since I accept the medieval four-fold model of meaning in Biblical interpretation, there remain limits to the scope of meanings that a word can have. Meaning occurs in context, and a particular context may both increase the number of possible meanings of a term, but it can also lower or eliminate the possibilities of other meanings. “I am going to the bank” makes sense if the person saying that also adds “to go fishing.” If he says, “I am going to the bank to withdraw money,” that eliminates the the other meaning of “bank” as “bank of a river.” Natural kind terms clearly refer to entities that are objectively similar. Sure, a beagle does not look like a Rottweiler, but they are both carnivores, they both bark, they can interbreed, and they have similar genetic codes and similar causal powers. There is no need to posit the existence of “Dogness” in any transcendent world independently of actual dogs. “Dogness” might exist in individual dogs in the sense that it refers to the set of necessary and jointly sufficient conditions to make a dog fall under the universal term “Dog” (or another term, such as Canis, used in another language. Thus my own sympathies are with Aristotle’s and Aquinas’ moderate realism: universal terms refer to objective similarities between things that are necessary and jointly sufficient for an entity to be the kind of thing it is. Universal terms may also hint at universal ideas or patterns in the mind of God through which He created the universe and the things in it. This view, dating back to Augustine, was picked up by the Medieval philosphers such as Aquinas, and did not fade until William of Occam denied it in the fourteenth century. Moderate realism evades the problem of arbitrariness found in postmodernism as well as the over-transcendence of Plato’s world of the Forms. I am hopeful that it will be adopted by philosophers outside the Thomist school, since as Richard Weaver pointed out in his fine book, Ideas Have Consequences, nominalism helped lead to the idea that nature, including human nature, is infinitely malleable by human ingenuity. Realism, whether ultra or moderate, helps to form a stable society in which human nature and nonhuman nature are both respected. 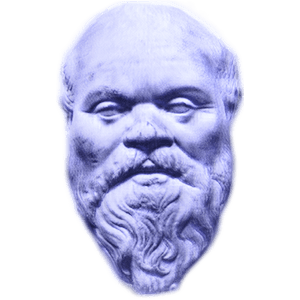 Moderate realism avoids the problems of Plato’s doctrine of participation by placing the entity to which a universal term refers “in” the individual substance. Now substance, I believe, following Fr. Norris Clarke, is “substance-as-relation,” so that the intellectual content of the object observed would “seek” (metaphorically speaking) to communicate itself as far as possible–and the observer would strive to communicate was much as possible. Through such joining of information the mind becomes “intentionally one” with the object perceived, and thereby knows it, not exhaustively–but the actual information he receives is accurate to a degree. If this is the way communication between being and mind takes place, there is no need for transcendent Forms, but there is a need for “forms” with a small “f” to guarantee stable behavior patterns among natural kinds. Does Thomism Really Avoid the Lockean Epistemological Gap between Idea and Thing? 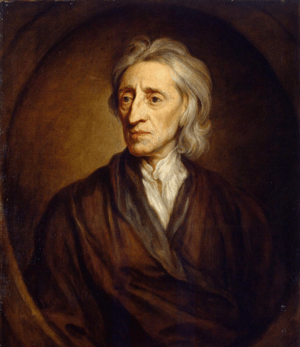 John Locke thought of himself as a realist (not in the Medieval sense of accepting the reality of universals, but in the modern sense of believing in a mind-independent world). Yet it seems that his philosophy leaves no room for any knowledge of that alleged world, as Berkeley and Hume pointed out. Locke believed that all knowledge comes by means of sense experience (thus he is an empiricist, as opposed to being a rationalist such as Descartes–it is ironic that in his hierarchical classification of knowledge Locke lists intuitive knowledge as first, demonstrative knowledge as second, and sensory knowledge as the lowest form of knowledge, barely to be called knowledge). Locke believes that knowledge arises by means of ideas in the mind. Whether these ideas are images or something else remains a subject of debate among Lockean scholars. In any case, Locke believes that that a quality is the power to produce an idea in the mind. Primary qualities are actually in the thing-in-itself, and our ideas of primary qualities are isomorphic with the actual structure of the physical substance we perceive. Primary qualities are measurable, and include size, shape, and mass. Secondary qualities are not in the thing itself; our ideas of secondary qualities are not isomorphic with the actual structure of the material substance. However, the primary qualities interact with human sensory organs and with the human brain to produce ideas of particular colors, odors, sounds, and tastes. Thus, secondary qualities have a partial basis in the thing-in-itself despite the lack of isomorphism between idea and thing. Aristotle and St. Thomas Aquinas were both direct realists. Aquinas accepted the idea that knowledge comes through the “phantasm,” or sensory image, from which the mind extracts the intelligible content from a material substance. Thomists today often say that the difference from Locke’s view is that Locke believed we have access to ideas, not the thing in itself–it is the ideas that we know. In contrast, Aquinas believes that it is through the phantasm that a person gains some knowledge, albeit limited, of the thing-in-itself. But does this really avoid Locke’s problem or does it evade it by a kind of word game? After reading more of how contemporary Thomists deal with the epistemological gap, I must back away from my earlier position that Thomism does not avoid an epistemological gap between mind and thing. Contemporary Thomists believe that humans have evolved as part of their environment, not as creatures separate from their environment. Even thought knowledge is of “external” things, there is a communication of intelligible content from object to subject–agent causation is not limited to human agents. The phantasm contains the information that human beings extract to help them to live in the environment in which they are embedded, to the point that the person becomes “intentionally one” with the thing-in-itself. While Duns Scotus posited intuitive knowledge of an object as existing in addition to a rather traditional Aristotelian account of knowledge, I am not sure that such an intuitive knowledge is necessary for human beings to get by in the world. If such intuitive knowledge exists (perhaps in the form of psi), such knowledge could speed up our apprehension of a thing and determine whether or not it is dangerous. But if the mind is not considered a container, but as one way of an organism’s acting in the world, that seems to eliminate the Lockean gap between idea and thing. The phantasm becomes that “by which” a person apprehends some aspects of the being of a thing. There has been a great deal of talk about “cosmic memory,” “Akashic Records,” and so forth among both mainstream parapsychologists and New Agers. This is an old idea that was revived not only by Theosophists, but also by philosophers such as William James, and there are some affinities with Jung’s “collective unconscious.” Ervin Laszlo has written a great deal on “Akashic memory,” as Edgar Mitchell and Stanley Krippner accept some version of cosmic memory placed in the framework of contemporary physics. Such views remind me of Alfred North Whitehead‘s notion of “objective immortality.” For Whitehead, like contemporary advocates of cosmic memory, every event in nature is interconnected. As events constantly flow into the past, they are recorded in the mind of God, where they are stored forever. Whitehead himself denies subjective immortality, the notion that individual humans, for example, will live forever. But he accepts the idea that God remembers every event, and in that sense everything is immortal. These memories enrich the life of God, and He can use them as He continually aids the world in enfolding toward greater enrichment of value. 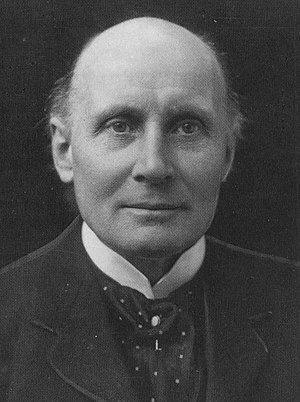 Thus, Whitehead accepts a theistic (specifically a panentheistic) view of cosmic memory as existing in the mind of God. None of these positions would suit traditional Christianity–but there is a version of cosmic memory that can–that of St. Thomas Aquinas. For Aquinas, God eternally holds every object and event in His mind. Although that is not the same as something existing in re, in itself, in another sense existing in God’s mind is more real than existing in re. Now Aquinas believes in subjective immortality; that is, he believes that God will raise all humans from the dead, restoring their souls to new bodies that are in a real sense continuous with the old. While Aquinas’ version of the afterlife sounds boring (“the beatific vision of God,” in which the saved contemplate God forever), as the late Father Joseph Owens of The Medieval Institute of the University of Toronto has noted, such an afterlife need not be boring at all. If all events and all places, everything that has ever existed or happened, exist virtually in God’s mind, then a resurrected person could have an experience of walking through the fields of his childhood. This sounds like a George Berkeley-like view of Heaven, or perhaps H. H. Price’s image-world with God as a ground of stability. My one caveat would be that if I exist in such a world, I would want the animals I have loved to be really, not just virtually, present–with their conscious lives restored and intact. If all else is composed of images in the mind of God, what would be the practical difference between such a world and a material world? Does the substrate out of which solid material objects is made really make a difference? There would be still be, to use Christian terminology, a “New Heaven and a New Earth.” On this view, the Beatific Vision of God would mark the fulfillment of our materiality rather than its repudiation. And the full truth of cosmic memory would be fulfilled in the ultimate vision of God’s memory playing a role in the blessed life of the resurrected.